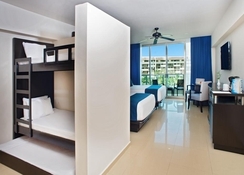 If you’re a family thinking about a fabulous seaside retreat in Mexico, then the Seadust Cancun Family Resort is perfect for you! 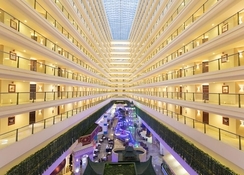 The children-oriented facilities and services offered here are what make this hotel unique. You will experience the next level luxury at the hotel’s accommodations comprising of six kinds of suites with ocean view and Jacuzzi. Pamper yourself in the spa with multitude treatments and massages, which will surely touch your senses. Additionally, the hotel provides car rental service, medical service, laundry and dry-cleaning service, babysitting service and much more. 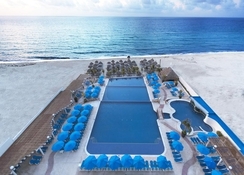 The Seadust Cancun Family Resort is nestled in Zona Hotelera, Cancun. It is only 6 minutes’ walk away from the beach, making it extremely convenient for beach lovers. Those who want to satisfy their luxury shopping needs can head to the La Isla shopping centre, which is within 5km from the resort. 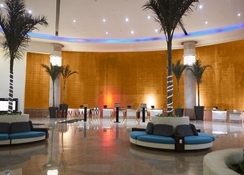 The Cancun International Airport is about 15km from the hotel, making it convenient for the guests to board their flights on time. 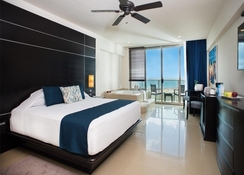 Places that are popular among other travellers in the area are La Isla Shopping Village (4.8km), Plaza Forum (8km), Cancun Nightlife District (8km) and Plaza Kukulkan (4.2km). You’ll come across restaurants and cafes around the hotel, but above all nothing will beat the incredible water sports activities. 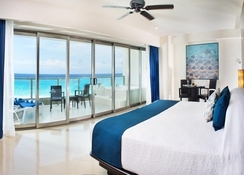 Luxury Suite-Partial Ocean View, Premier Suite-Ocean View, Family Suite-Ocean View, Club Suite with Ocean View and Jacuzzi, Sunset Suite-with Terrace Jacuzzi and Ocean Front Suite-with Terrace Jacuzzi are the six suites that are offered by the hotel. Facilities such as en suite bathroom with amenities, hairdryer, telephone, safe deposit box, iron & ironing kits, TV with satellite, air conditioning and furnished balcony are common across the rooms. The views from the rooms are incredible—different rooms offer different views—facilities and amenities do differ according to room categories. The hotel houses nine restaurants, 10 bars, a snack bar and a café to satisfy the appetite and cravings of different guests from across the world. The restaurants include Magnus, La Maison de Michelle, Big Ben Steakhouse, Samurai, El Maguey, Lighthouse, Deli Manhattan, Atlantis and Carrousel (for the little guests). The bars include Fun Casino, Club Caribe, Bar Karaoke, Touchdown Sports Bar, Le Vin et Fromage, Midway Bar, Lobby Bar, Splash, Squalo and Bongo. Head on over to 'Waves' for snacks and finger food, which is close to the main pool. Hit the La Creperie for a world of fun and flavours, coffee and desserts for all ages. The resort has a wide array of sports and leisure facilities to keep guests engaged. 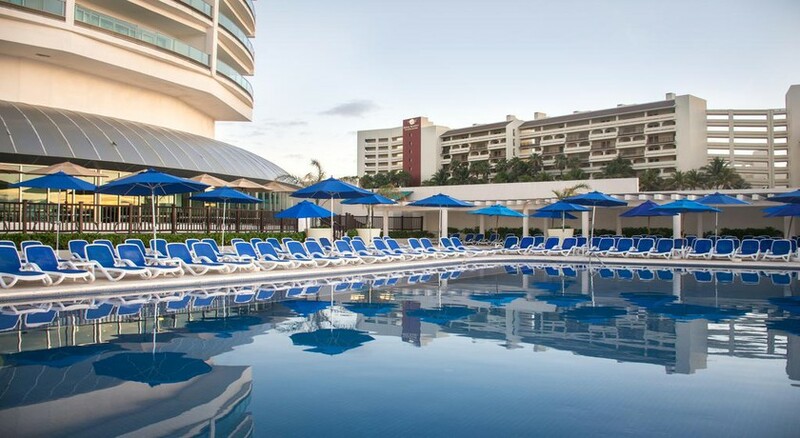 There is an outdoor swimming pool, where you can take a dip and relax on the sun loungers spread across the pool. Hit the spa to renew and relax your body, it offers several massages and beauty treatments both for adults and kids.